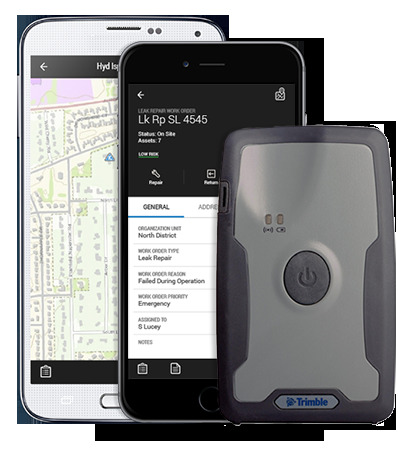 The Trimble R1 is a rugged, pocket-sized GNSS receiver that provides sub-meter precision to users of any Bluetooth connected mobile device, including smartphones, tablets, or more traditional integrated data collection tools such as a Trimble handheld computer. Multiple Constellation Support Provides Global Reach. Windows (7 or greater), WEHH (6.5x). “Made for iPhone,” and “Made for iPad” mean that an electronic accessory has been designed to connect specifically to iPhone or iPad, respectively, and has been certified by the developer to meet Apple performance standards. Apple is not responsible for the operation of this device or its compliance with safety and regulatory standards. Please note that the use of this accessory with iPhone or iPad may affect wireless performance. iPad, iPhone and Retina are trademarks of Apple Inc., registered in the U.S. and other countries. iPad mini is a trademark of Apple Inc. Accuracy and reliability may be subject to anomalies due to multipath, obstructions, satellite geometry, and atmospheric conditions. Always follow recommended GNSS data collection practices. Specified ViewPoint RTX accuracy is typically achieved within 10 minutes.